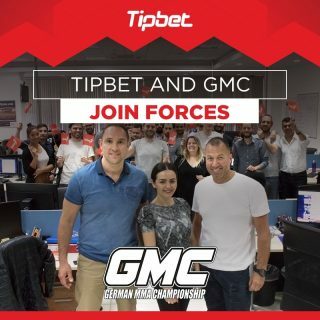 Sports betting operator Tipbet is pleased to announce that it has signed an agreement to become the main sponsor of the GMC German MMA Championship (GMC). The deal commences on 30th June with Event 15, which takes place at the Ratiopharm Arena in Ulm, and will cover seven fixtures. The GMC is renowned in Germany for its high standard of mixed martial arts and spectacular fighting events, with numerous athletes making the transition to the UFC in America. Competition events are broadcast online at ranfighting.de, as well as being a popular choice on pay-per-view. As part of the sponsorship agreement, Tipbet branding will be displayed inside the arena’s ring and strategically located for maximum television exposure. In addition, a strong presence will be apparent during other key junctures, such as pre-fight press conferences, as well as on tickets and on GMC’s official website. Joint social media activities, as well as permission to use clips from bouts for advertising purposes, will also be further mutually beneficial elements of the sports betting and casino company becoming major sponsors. 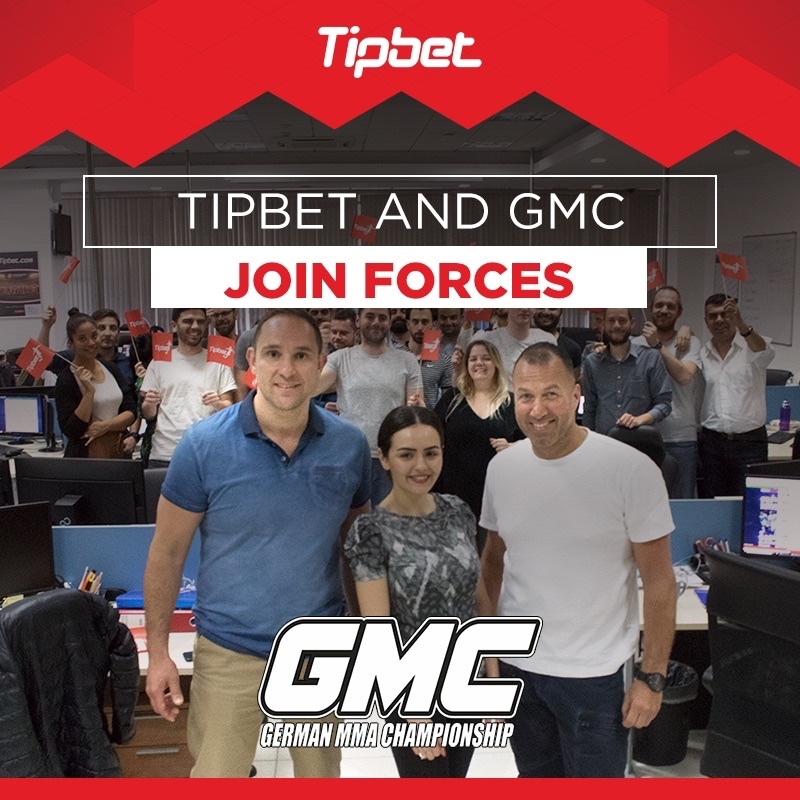 Philippos Naskos, Product Manager at Tipbet said: „We are very happy to become official sponsor of the GMC German MMA Championship. We have been following the GMC and its development as a mixed martial arts institution in Germany for quite some time, so we decided to begin a partnership with popularity growing rapidly. MMA has grown exponentially in popularity in recent years around Europe and particularly in Germany, with amateurs also seeing it as a fun way to keep fit – the sport encompasses techniques from the boxing, wrestling, judo and taekwondo disciplines. Mixed martial art fights take place in the Octagon ring – named due to its shape – with competitors battling over three rounds, each lasting five minutes. Title fights are extended to five rounds, while there are nine different weight classes, from under 57 kg (bantamweight) to over 120 kg (super heavyweight). The GMC has been instrumental to the success and popularity of MMA in Germany and has been awarded the GnP Award for the best national event from renowned fighting magazine Ground & Pound. Tipbet has been a long-time supporter of the sport, and also sponsor unbeaten fighter Mandy Böhm, who represents Fightclub Gelsenkirchen. The Tipbet.com supplies odds for thousands of top events for all major sports events, including boxing.